The Human Rights Act (HRA) has been a centrepiece of the British Constitution for almost twenty years. 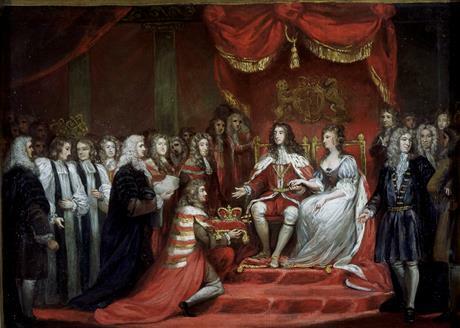 The idea that, over 300 years after the 1688 Bill of Rights, Britain should have a new bill of rights was laudable. But its implementation was a failure of legal and political imagination. Rather than have a serious constitutional debate about what should go into this new bill of rights, it was decided to import the provisions of the European Convention on Human Rights (ECHR) wholesale. It is thus not surprising that Sir Noel Malcolm’s book focuses on the ECHR even though, as is clear from his proposals at the end of the book, his main interest is on the British constitution. It is important to remember however that the constitutional significance of the ECHR is not the result of impositions from Strasbourg, but of a British legislative decision that combined insipidity with recklessness. Why was it not done differently? Alexander Herzen is believed to have said that the British invented liberty but did not decorate it with any theory. A new bill of rights would have required a lot of constitutional argument – and that is a form of theory. It was preferred to opt instead for what seemed to be a “practical solution” in light of the UK’s international obligations under the ECHR. But beware of “practical solutions”. Normally sold on the basis that they avoid the complications of theory, they more often than not lead to the adoption of someone else’s theory. As Keynes used to say: Practical men who think of themselves as exempt from any intellectual influence, are usually the slaves of some defunct theorist. Keynes had lawyers in mind, and behind the HRA was a small army of well-meaning lawyers. It is not just in Norway, but also in Germany, France, Italy, Spain that this is so. In most modern liberal democracies, constitutional litigation on fundamental rights takes place by reference to distinctive national constitutional bills of rights. It is an irony of the HRA is that it purported to bring the UK constitutionally closer to Europe in a manner that was both un-British and un-European. Bills of rights are normally adopted in important historical moments through argument and deliberation. When successful, their enactment ushers in the emergence of a new constitutional tradition on rights and liberty. The UK’s 1688 Bill of Rights did this. So did the Bill of Rights in the US Constitution and the first 19 articles of the German Constitution. By contrast, the HRA was an abdication of legislative responsibility – the product of the political class of 1998, so afraid of argument and debate (and so inept at both) that it chose to simply replicate the provisions of a treaty. Perhaps the most depressing consequence of that parochial-minded decision is that it has skewed and impoverished constitutional and political argument about rights and liberty in Britain. Only in Britain is support for a domestic/national Bill of Rights automatically dismissed by most in the legal and academic establishment as a manifestation of right-wing nationalism. It is unfortunate, but sadly not surprising, that Sir Noel too should become the target of the kind of ad hominem attack that follows any attempt to call into question the HRA/ECHR constitutional dispensation. Another unfortunate consequence of that dispensation, as observed by Sir Noel in his book, is that it has fuelled negative public sentiment about human rights. One of the great constitutional documents in our history, the Act of Settlement, speaks of the “Laws of England” as the “Birthright of the People”. It was reckless to think that in any modern liberal democracy – let alone one founded on a historic bond of trust between people and laws – you could simply transpose a centrepiece of the constitution from an international treaty. This is a long but I think necessary introduction to a central point in Sir Noel’s book on which I want to concentrate: what is the theory of human rights that we imported through the HRA? Treaties or statutes are not founded on one single theory of course. They may have some foundational ideas behind them, but they also grow through judicial interpretation and application, and in the case of treaties through state practice too. Sir Noel discusses the features of the HRA/ECHR, as currently understood and applied, throughout his book, and especially in Chapters 1, 2 and 3. To begin with, a number of important rights in the ECHR – such as free speech and private life – are structured in a similar way. There is a general statement of entitlement (in the form of “everyone has the right to etc”) followed by a limitation clause making the exercise of the right subject to restrictions in pursuit of certain public interests (e.g. national security or public health). Sir Noel raises a crucial question about the concept of an HRA/ECHR right. “What exactly is the statement of the human right: is it the pure description of the right in the first part of the article, or the whole article, including the limitations”? He is quite right to be surprised at the paucity of attention that this basic conceptual question has received. How do courts decide in practice where the entitlement stops and the limitation begins? This is where balancing and proportionality come into play. I have explained my reservations about proportionality elsewhere. My critique of proportionality is normative as, I believe, is Sir Noel’s. We need to be careful however to distinguish a normative critique of proportionality from the critique of normative sceptics, like Martti Koskenniemmi and others, who see in proportionality just another illustration of the inescapable indeterminacy of the law. Although he mentions Koskenniemmi in this context, I do not think that Sir Noel agrees with him. The postmodernists’ Schadenfreude should strengthen our resolve to replace proportionality with something normatively better, rather than lure us to their position of inconclusive and ultimately incoherent scepticism. There is a considerable difference between the case of “law-giver’s law” edicted in the exercise of sovereign power, and law based on convention, itself the outcome of a process of agreement, and limited to what has been agreed, or can properly be assumed to have been agreed. Far greater interpretational restraint is requisite in the latter case, in which, accordingly, the convention should not be construed as providing for more than it contains, or than is necessarily to be inferred from what it contains. Sir Noel is quite right to remark that, when faced with a law so inherently vague and unpredictable, we should be concerned about the Rule of Law. This concern cannot be dismissed with the simple retort that all law is indeterminate. There are degrees of indeterminacy, and a system that functions on the basis of the ingredients I have outlined is bound to operate at the very high end of the spectrum of indeterminacy. The problem, I think, derives from the last two elements of the ECHR/HRA dispensation, namely proportionality and evolutive interpretation. They are what makes the inevitable conceptual fuzziness of the definitions of the rights and their limitations intolerable. The Rule of law also suffers because of the change in the nature of the judicial function that a law so fundamentally vague introduces. In the Montesqueian sense (although perhaps not as a matter of strict logic) a judge cannot be the mouthpiece of the law where not only is the law formulated in very general terms but its interpretation and application is governed by standards and principles that compound rather than constrain that indeterminacy. First: a public culture about rights is taking shape that reflects the structure of the ECHR/HRA rights – a combination of entitlement (deriving from the all-encompassing statement of right and the low threshold for finding that the right is “engaged”) followed by disappointment (deriving from the balancing lottery). Second: disillusion and even cynicism about the HRA is particularly pernicious in the British context because of the unique relationship between people, law and liberty. While it might be said of others (Italians for example) that they have developed over centuries the ability to be free under laws they despise, the same is not true of the British. In societies ruled by authorities perceived to be illegitimate, liberty is often thought of as an escape from the law. Not so in Britain. The historic relationship between people, liberty and law that has emerged in Britain is rare, precious and almost impossible to replicate. We cannot afford to have a national bill of rights that is not viewed and felt as a genuinely British law, and that is anything other than widely respected. Third: we are running the risk of severing individual/modern liberty from political/ancient liberty (pace Benjamin Constant) – with grave risks for each. A technocratic approach to human rights is providing a useful fig leaf to those (the “fanatical centre” as the great historian of liberalism, Pierre Manent, would call it) who believe they can continue to describe themselves as liberal and progressive while becoming ever more scornful of democracy. Aristocratic or elitist liberalism is a couple of centuries out of date. You can no longer be a liberal without being a democrat. A conception of human rights that is divorced from and even antithetical to democratic sentiment and deliberation is not just undemocratic; it is illiberal too. So what next? At the end of the book Sir Noel makes a number of proposals to which I cannot do justice in this short note. After what I have said above, it may come as a surprise that I disagree with Sir Noel about withdrawing from the ECHR. As I mentioned at the outset, putting the ECHR at the heart of our constitution was a British error. Labour may deserve the blame for it, but in fairness none of the other main parties have exuded constitutional sensibility as of late. Such sensibility will not magically grow overnight if we withdraw from the ECHR. Withdrawal from the ECHR may just be the mirror image of the error we made when we enacted the HRA. Moreover, notwithstanding the problems with the ECHR conception of human rights discussed by Sir Noel, I think there are a number of good reasons for the UK to remain a party to it. Perhaps most importantly, the Strasbourg Court has shown an ability to learn from its mistakes and to improve. It is an important quality in any institution (and tragically in rather short supply in pan-European institutions these days). For example, the Strasbourg Court’s approach to armed conflict has changed for the better (albeit not yet enough), and the quality of its reasoning has often markedly improved. It would not surprise me if in the near future the Court were to re-think its ill-conceived current stance on the scope of territorial application of the Convention and return to the Bankovic position. Furthermore, positive change could come through processes led by State parties (Brighton first and now Copenhagen), which Britain should support. Hopefully, the Court will begin to appreciate that it is consistent with the terms of the treaty, as well as with its historical raison d’être and its current role in Europe, for the Court to adopt greater interpretational restraint and to set a higher threshold for finding that a human right is “engaged”. Another important reason for not withdrawing from the ECHR is that Strasbourg has been robust in resisting the attempt to weaponise human rights law in favour of a particular conception of multiculturalism. While some of the jurisprudence on Article 8 remains problematic, the Grand Chamber does deserve credit for judgments like Lautsi v Italy. As for the UK, we should revive the debate on a British Bill of Rights. I am less sure about the Code of Protected Rights called for by Sir Noel, although I think it would be useful – as part of the debate on a British Bill of Rights – to think about rights in our laws more generally. There are areas, free speech in particular, where we do need to improve on the current position under the ECHR/HRA. There may be other areas too, such as labour rights for example, where once we start a proper constitutional debate we may identify legal rights so fundamental, and at this point even ancient in a Burkean sense, that they deserve incorporation in a catalogue of fundamental liberties. Guglielmo Verdirame is Professor of International Law at King’s College London in the Department of War Studies and the School of Law. He practises as a barrister at 20 Essex Street Chambers. Verdirame, ‘Rescuing Human Rights from Proportionality’, in Cruft, Liao, Renzo (eds. ), Philosophical Foundations of Human Rights (2015) 341-360. Golder v United Kingdom, Application no. 4451/70, Judgment of 21 February 1975, Separate of Opinion of Sir Gerald Fitzmaurice, §32.